Archery GB’s Big Weekend 2019 is coming to Slough! Fancy yourself as the next Robin Hood? South Bucks Archers invites you to join our family friendly club for a taster session on Sunday 19th May to find out! Taster sessions will last for approx. ½ hour and cost £5. All equipment will be provided however places must be booked in advance. If you have ever been interested in Archery this is a fantastic opportunity to have a go, meet the club members, and generally see what it’s all about! Contact Mary on 07772 353920 or secretary@southbucks-archers.com to book your place. Slots are available between 10am-2pm. Children under 16 years must be accompanied by an adult. Minimum age 10 years. South Bucks Archers is located at St Bernard’s Catholic Grammar School, 1 Langley Road, Slough SL3 7AF. 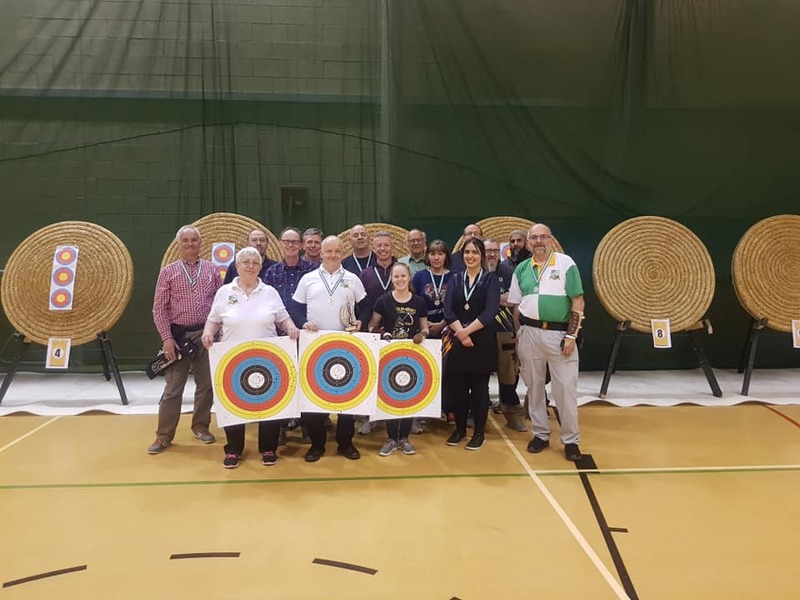 South Bucks Archers held their annual Indoor Club championship on Wednesday 3rd April. Shooting a Reverse Portsmouth, 15 archers shot 60 arrows apiece in 5 pools with a winner from each pool going through to an eliminator round. The eliminator round saw recurve archers John Murphy, Chris Parry, Saffiyah Sheikh and Russell Hughes along with barebow archer Elizabeth Wethered pitted in knock out stages. Elizabeth Wethered was the first to be knocked out, followed by Saffiyah Sheikh, with Russell Hughes finishing in 3rd place. The final round saw defending champion John Murphy narrowly beat Chris Parry to retain the South Bucks Archers Indoor Champion title. The competition marks the end of the indoor season for the club with outdoor shooting beginning next week. A number of SBA Archers took part in Spelthorne's Open Indoor Championships, including 4 where this was their first competition. Everyone had a great days competing and making new friends. Sue managed to come 2nd in the Lady Longbow section, taking away a silver medal. Well done to all who took part.